Epsom Salt, although not really a salt has many amazing benefits. Benefits for health, home, and even the garden. 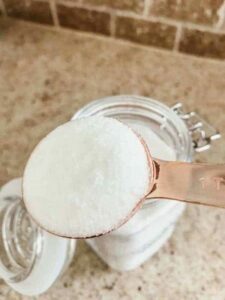 I’m going to share some of my favorite uses for Epsom Salt. And a few benefits, too. It is not actually a salt. Epsom Salt is a naturally occurring mineral of magnesium and sulfate. Epsom Salt is very therapeutic and many people use it as a more natural alternative for a variety of things. There are many claims out here in the inter webs that ingesting Epsom Salt is a safe remedy for certain ailments. But, I personally don’t think this is advisable. Epsom Salt is supposed to be for external use only. When in doubt, seek the advise of your health care provider. 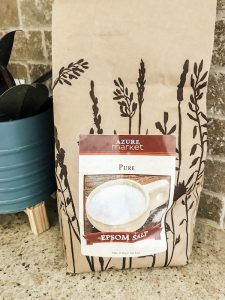 Epsom Salt is a great natural product to use for relaxation, around the home, and in the garden. 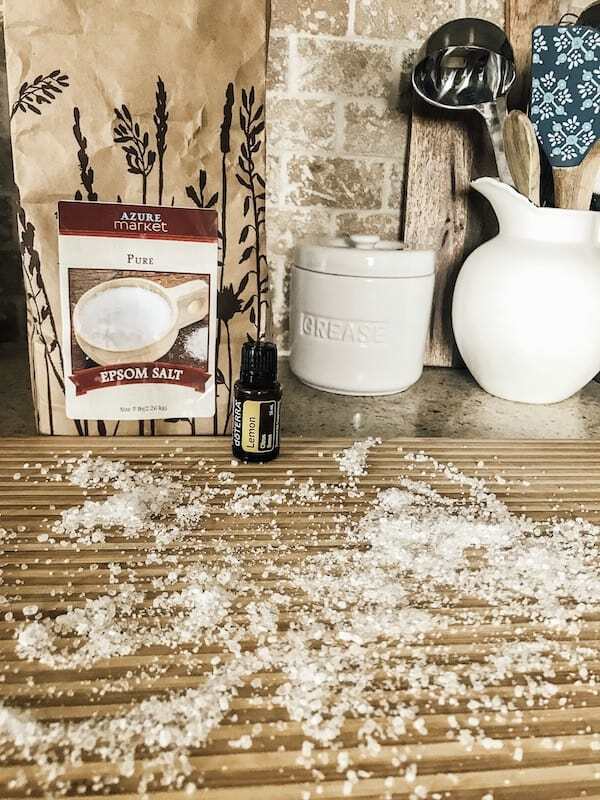 One of my favorite uses for Epsom Salt is in my health & beauty routine. I love to add it to my bath along with some essential oils a few times a week. This is a total stress buster! The folks at Azure Standard were gracious enough to send me products for my honest review. One of these products was this 5 lb bag of Epsom Salt. I was thrilled when it arrived in a brown paper bag instead of plastic! 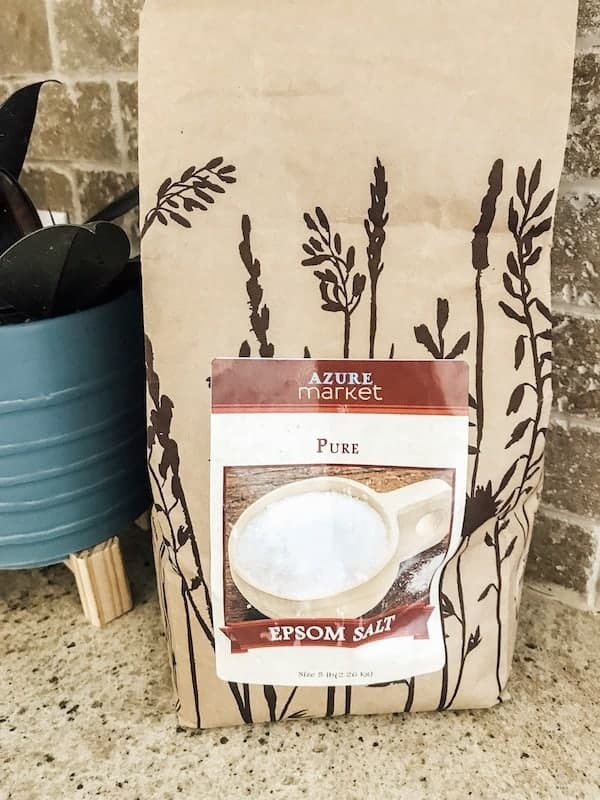 What sets this epsom salt apart from most other brands? The paper packaging is a huge plus for me. Another win for this product is that the bulk pricing is super affordable. It’s the best price I’ve found for Epsom Salt. Azure Standard is an online grocery store that sells all natural products. Unlike most online grocery stores, they sell refrigerated items. This means we can order meat, dairy, and produce online! I’m so thankful that I have found this company. Living very rural it is a little difficult to find natural and organic products locally. And traveling to the big ol city is at least 2 1/2 hours away! Have you tried Azure Standard? I would love to hear about your experience with them! If not, be sure to check them out here. We don’t keep sugars around our home except for occasionally to make natural kefir water. However, we always have epsom salts in the house. So this makes a great and beneficial supplement for many scrub recipes. With a few simple ingredients, you can create an exfoliating body scrub. 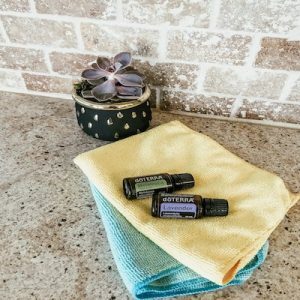 I love to use Lavender and Frankincense essential oils for any skin care products that I’m creating. Soak the effected area in an Epsom Salt bath to help draw out the splinter. The bath also helps soothe the skin if it is irritated. Make a solution of 2 tablespoons of Epsom Salt and 1 cup of cool water. Soak a cotton cloth in the solution and wrap around the affected area. 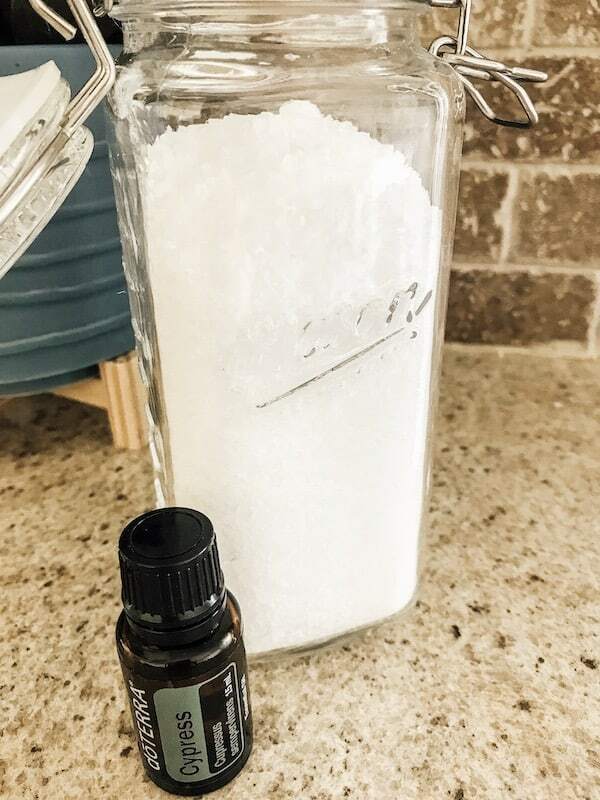 Fill a mason jar with Epsom salts and your desired essential oils. The amounts will vary depending on the size of the jar and amount of salts you are adding. Approximately 10-15 drops per 2 cups of Epsom salts is a good starting point. For best results, soak in about 2 cups of Epsom salts in the warm bath water for about 15 minutes. Promote healthy night time routines by soaking in an Epsom Salt bath with lavender essential oils before bed. The Epsom Salts are soothing and the lavender is calming to help promote relaxation and rest. For the same reasons listed above, Epsom Salt baths help promote a restful night of sleep. And with a little bit of lavender essential oils added have helped our children to get relaxed before bed. Make a solution of Epsom Salt and water and soak the affected area for soothing comfort and relief. Mosquitos are pretty bad around here during the summer. And some of us get attacked more than others. I really haven’t found a good deterrent either. I guess I just have sweet blood. Haha. Mix a couple of tablespoons of Epsom Salt with water and soak a wash cloth in the solution. Then add the cloth to the affected area to relieve stinging and itching. 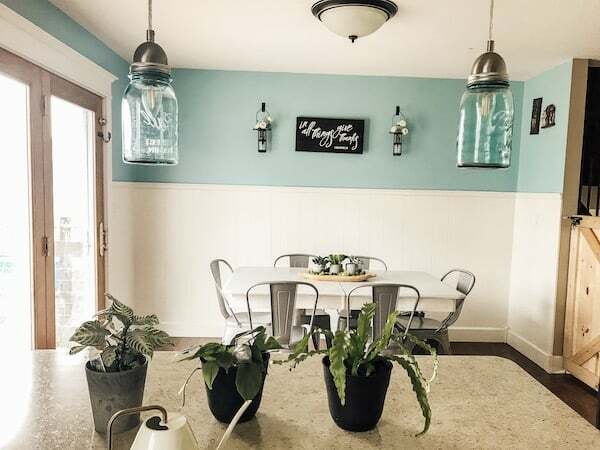 Let’s face it, homesteading, being a mom to little ones, and life in general is hard work. Sometimes working in the garden or with the animals is harder than others. And as I get older, I get more strains & sprains. Also, it takes a little longer to recover than it used to. 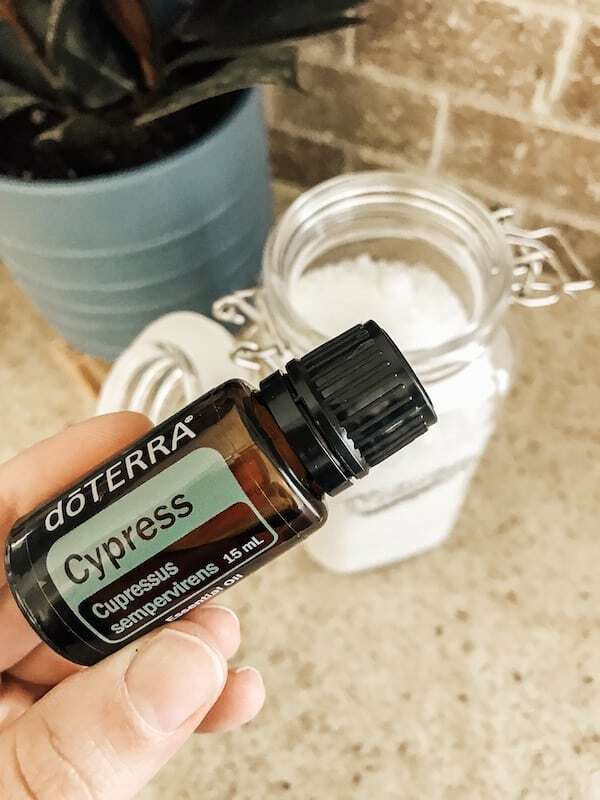 My ultimate therapy for soothing my tired muscles is a soak in an Epsom Salt bath with some of my favorite essential oils. It has also been said that a soak in an Epsom Salt bath can reduce bruises. Epsom Salt has anti inflammatory properties which helps to relieve the sting of a mild sunburn. Mix with water and spray on affected area. Sprinkle a little bit of Epsom Salt (approximately 1/2 teaspoon) and a little water to pots/pans and scrub. For a little more fighting power, add 1-2 drops of lemon essential oil. The lemon essential oil is a natural degreaser and powerful cleaning aid! Sprinkle some Epsom salts with a few drops of lemon essential oil or orange essential oil to the cutting board. Use a damp wash cloth or sponge and scrub away. 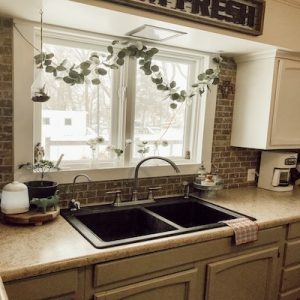 Use Castile soap mixed with Epsom Salt to create a paste and add to grout. Scrub away and rinse thoroughly with water. Add 1 cup of Epsom salts, 1/2 cup of baking soda, 1/4 cup of liquid Castile soap to a bowl and mix it up. For a little boost of cleaning power, add 1-2 drops of lemon essential oil. This combination also works great with mineral deposits left in the toilet bowl. Helps with growing tomatoes for better tasting fruits! Epsom salts help create brighter and fuller flowers, especially with roses. Sprinkle some Epsom Salt around plants a couple of times per year to help give it a boost of magnesium. Sprinkle a bit of Epsom Salt on your lawn as a more natural way to green your yard. This is a great way to make a more luscious lawn without added fertilizers full of harsh chemicals. Use about 1 tablespoon per quart of water and spray on seed starts. Most soils are deficient in nutrients. And rather than using fertilizers, I opt for natural solutions. Magnesium helps aid in seed germination by helping amend the soil. The nutrients are needed to give little seedlings a strong foundation. Keep unwanted garden pests away by sprinkling a Epsom Salt around plants or problem areas. 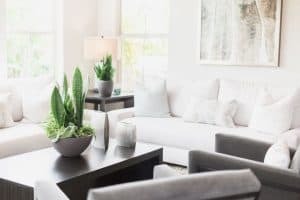 It can help deter some garden pests because of the coarseness of Epsom Salt, just the same as diatomaceous earth works. It won’t kill slugs or snails in the same way. I just add to my watering can about once every 1-2 months to give my houseplants a boost of magnesium. In fact, I don’t use any other fertilizers for my plants. Use approximately 1 tablespoon per half gallon of water.